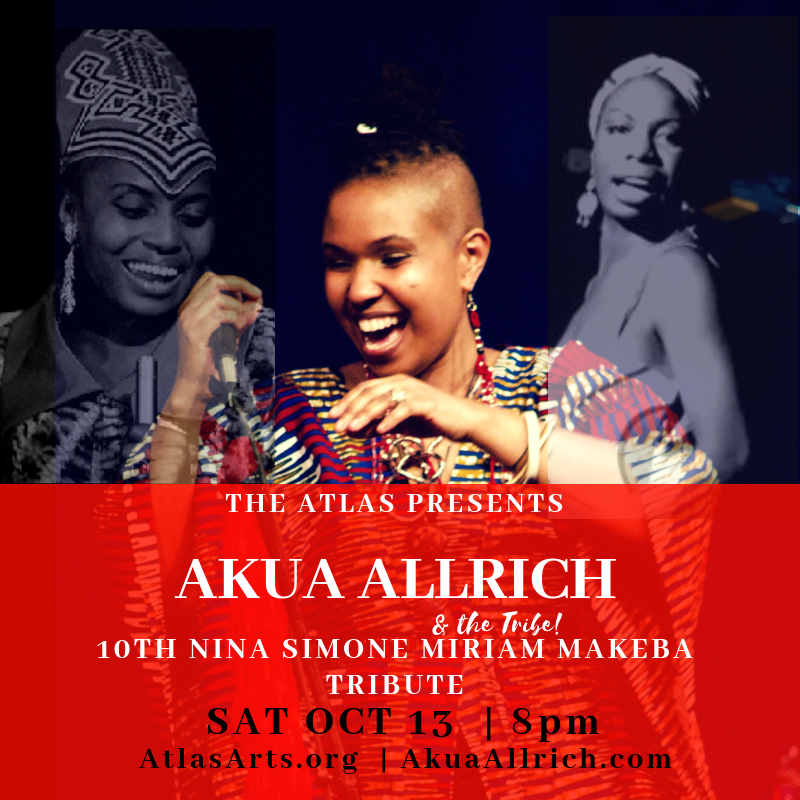 Akua Allrich’s 10th Annual Nina Simone, Miriam Makeba Tribute! with the Tribe! “Jazz vocalist and DC-native Akua Allrich returns to the Atlas with a tribute to two powerhouse singers, Nina Simone and Miriam Makeba. This talented Howard University graduate is making a name for herself in the US and beyond with a musical style that draws from blues, soul, jazz, and pan-African music. Akua leads a sizzling hot band in renditions of beloved songs made famous by Simone and Makeba. This evening of classic hits performed by today’s finest vocal talent is not to be missed. Performance begins at 7:00 pm. I together with my guys happened to be looking through the great ideas found on your web site and so at once came up with a terrible suspicion I never thanked the web site owner for those strategies. Those men appeared to be absolutely happy to see all of them and have now sincerely been taking pleasure in them. I appreciate you for genuinely simply helpful as well as for finding this kind of high-quality tips millions of individuals are really desperate to know about. Our own sincere apologies for not expressing appreciation to you sooner.